The pace still continues. My UPDATE for March 18th was picked up by the Daily Pilot and can be seen at http://www.latimes.com/socal/daily-pilot/opinion/tn-dpt-me-me-commentary-20180319-story.html and MOORLACH UPDATE — Funding OC’s Homelessness — March 18, 2018. Let’s talk about pace. I have been working for more than two decades on the homeless population concerns in the Santa Ana Civic Center. I will tell you that I believe the City Council of Santa Ana failed in properly addressing this situation. I even addressed my thoughts on its lack of leadership in my podcast, originally slated for release on Monday. However, I moved the release up to yesterday afternoon (CLICK HERE to listen). The frustration that I addressed in the podcast is that of SB 2 zones, sites that are required by state law to be zoned for a homeless shelter location. Laguna Beach has done a great job. Santa Ana botched it. Irvine is realizing that they approved an SB 2 zone and is now choking on it, as the County is proposing to use it for its intended purpose. But, the process of selecting and implementing an SB 2 zone takes time. Along comes Judge David Carter, who one community leader referred to as “Rambo” at last Saturday’s Court Hearing (see the link mentioned in the opening paragraph). Judge Carter wants to change the pace. Instead of a lengthy and methodical approach to establishing viable locations, he’s demanding immediate selections and implementations. A Federal Judge has that kind of clout. The Board of Supervisors, at an emergency Board meeting this past Monday morning, found three sites. It was awkward and abrupt, but it was in response to an highly expedited pace. The reaction in the County was immediate. Now at the least, it should demonstrate to Judge Carter how difficult the endeavor of addressing the homeless crisis has been for elected leaders. To assist, I’ve been working in the Capitol to see what can be done with the Fairview Developmental Center during its current transition towards closing its facilities. One of my first reporter calls after my arrival to the Capitol was from the Daily Pilot about the Fairview Developmental Center (see MOORLACH UPDATE — Day Two — March 26, 2015). The Daily Pilot covered it again more than a year ago (see MOORLACH UPDATE — Fairview Developmental Center — February 11, 2017). And the Daily Pilot has done an admirable job on monitoring this subject (see MOORLACH UPDATE — Crushing Blow — July 21, 2017). With the County reacting to Judge Carter’s threatened edict, Supervisor Shawn Nelson inquired earlier this week about leasing some space on this 114-acre complex for a temporary housing solution. On Thursday, before flying back to the District, I had a few meetings with key Democratic Senators on this matter and with a lobbyist who could also assist. Supervisor Nelson issued a press release yesterday afternoon. It is provided by New Santa Ana in the first piece below. The Daily Pilot, staying on theme, called and their perspectives are provided in the second piece below. It is also in the San Diego Union-Tribune, which is pertinent, as this area is also dealing with this crisis. The views on homelessness go from stating that it “is a self-created situation and these individuals should figure out how to mainstream” to “these are mentally ill sons and daughters of longtime Orange County residents that need an extension of public services to stabilize.” And there are varied opinions in between. Do we ignore it and hope that it will go away? That hasn’t worked. Visit skid row in Los Angeles sometime for a reality check. Do we become a magnet for homeless people around the country because we provide top cabin accommodations that encourage individuals to stay on the streets and enjoy our incredible climate? I don’t believe any municipality is there. But, how we treat the least, the last, and the lost speaks volumes about us as a community. We need to find solutions. Orange County has done a great job, but the volume has exceeded capacity. So, it’s is time to build not only capacity, but to provide a viable road back for these individuals to becoming self-sustaining and productive members of society. With that said, although I am overloaded with Senate Committee assignments, this past week I requested Sen. Jim Beall, the Chairman of the Select Committee on Mental Health, to add me to this committee. He also Chairs the Mental Health Committee, of which I am a member. Consequently, I’m increasing my pace. I want to look for solutions. And that will require multiple locations around the county to address the mental health and homeless epidemic facing our community. With clearing the Santa Ana River of the homeless population, the entire nation now knows our plight. And, most of our residents want to address this family secret, so to speak, in some form or fashion. Therefore, I am willing to: risk recommending locations; work with other elected leaders; listen to advocates; and find appropriate and viable opportunities to improve the County as a whole. It will take multiple locations and a focused community. The city of San Antonio, Texas, was able to build a successful multiple service center (see MOORLACH UPDATE — Becerra Conflict of Interest — January 20, 2018 ). We can, too. We just need to set a proper pace. The Fairview Developmental Center (FDC) occupies 114 acres of state-owned land and is centrally located in Costa Mesa. The facility opened in 1959 and was originally designed to serve individuals with developmental and intellectual disabilities. Utilizing infrastructure already in place will help expedite the transition of homeless from area motels to an improved triage center while satisfying the judge’s order to present a swift, realistic plan. Faced with the need to find additional space to house Orange County’s homeless population, there is a new push for Fairview Developmental Center in Costa Mesa to be used as an emergency shelter. The proposal comes at a critical moment. Faced with a federal lawsuit, the county Board of Supervisors voted this week to consider putting emergency shelters in Huntington Beach, Irvine and Laguna Niguel. But those cities vowed to sue to block the move. Hundreds of Irvine residents protested this week, and the Board of Supervisors is now considering withdrawing the plan. 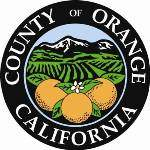 Orange County Supervisor Shawn Nelson and state Sen. John Moorlach (R-Costa Mesa) said the 114-acre, state-owned property at 2501 Harbor Blvd. is an attractive option given its central location and the fact that existing infrastructure could be used to accommodate and provide services to the homeless. “If we can find a campus to address a significant need in this county that we can rally around, then this is one of those opportunities that we just don’t want to let pass by,” Moorlach said. “Fairview will provide additional relief from the lack of emergency beds throughout the county,” he added. The emergence of Fairview as a potential emergency shelter is the latest wrinkle in the county’s strategy to house hundreds of people who recently were evicted from encampments along the Santa Ana River. The move to clear the camps prompted a federal lawsuit by homeless advocates. Earlier this week, county supervisors approved a plan to eventually move those formerly living along the riverbed — many of whom are currently housed in motels — to temporary shelters in Huntington Beach, Irvine and Laguna Niguel. However, the plan was met with immediate backlash from city residents and officials. Leaders in Irvine and Laguna Niguel voted to sue the county to block the shelter plan, and Huntington Beach officials pushed to drop the location there, as well. The Board of Supervisors plans to take up the shelter issue again Tuesday. Hanging over everything is what U.S. District Judge David Carter might do if the county can’t find sufficient shelter space. For weeks, Carter has been trying to broker a plan and has warned officials that he doesn’t want the homeless people displaced by the riverbed sweeps to end up at the Santa Ana Civic Center, which already is overwhelmed with homeless camps. It’s unclear exactly what would need to be done to use a portion of the Fairview Development Center property as a shelter. The center opened in 1959 and currently provides services and housing to people with intellectual and developmental disabilities. As of Feb. 28, it had 133 residents, according to the California Department of Developmental Services. At its peak population in 1967, it housed 2,700. Fairview — like other such facilities around the state — is slated to close in coming years as part of an effort to transition people out of institutional-style centers and into smaller accommodations that are more integrated into communities. The state said last year that Fairview is scheduled to transition its remaining residents to other living options by 2019. In Moorlach’s mind, that presents a rare opportunity. He has long been looking for ways to ensure that the property “doesn’t slip away” and that local leaders have a say in determining its future after it closes. “Here’s an alternative that would, maybe, be helpful to our business community and our residents,” he said.